Clients have found my bodywork to be calming, energizing and effective. I work intuitively, integratively and intently to provide the best possible therapeutic opportunities to assist each client. I may combine different types of bodywork to address each client’s needs. My bodywork sessions are now GROUNDED to the Earth’s energy using Earthing technology to further reduce inflammation and provide additional healing energy. In addition, I now provide healing guided meditations for continued assistance in between appointments. My centrally located office at the Jackson Holistic Healing Center ~ 430 S. Jackson St. ~ provides a spacious, healing retreat with a waiting room and a private bathroom. My Specialties Include: CranioSacral Therapy and SomatoEmotional Release, Lymph Drainage Therapy, Traditional Reiki and my own energy work, Acupressure, Aromatherapy, Scar & Fascial Therapy, Therapeutic Massage, Complete Decongestive Therapy for the treatment of lymphedema, and Body Treatments. For descriptions and benefits of each, scroll down. I custom-tailor my sessions to individual clients’ needs, requests and goals—I combine aromatherapy and techniques with varying types of pressure and energy work to provide an effective therapeutic treatment. I also specialize in specific Healthcare Bodywork treatments using Complete Decongestive Therapy, Lymph Drainage Therapy, Fascial Therapy, CranioSacral Therapy and Reiki. Additionally, I integrate my own energy healing practices, which I call Heart Directed Therapy, Heart Balancing, and The Gift. Acupressure, CranioSacral Therapy or lymphatic work on the head, neck and shoulders can relieve allergy symptoms, headaches, TMJ, neck and shoulder pain and lingering cold symptoms; these techniques can be incorporated into a full-body massage. In addition, I perform Lymph Drainage Therapy on clients who have swelling (edema), and associated pain, as well as Fascial Therapy, to increase range of motion and reduce underlying scar adhesion and the appearance of scars. Reiki is a noninvasive, relaxing energy technique used to lessen pain and promote complete healing on the physical, emotional and mental levels. Over time, the gentle cranial nudges and cranio-sacral rhythmic holds of CranioSacral Therapy may eradicate many symptoms that are not diagnosed or not treated effectively through medicine, such as headache, injury trauma, balance issues, tinnitus, blurry vision, neuralgia, neck, back, and pelvis pain, heart flutters, spinal stiffness, TMJ syndrome, tooth pain and misalignment, digestive issues, adrenal issues, pelvic issues, and much more–because this therapy works on the core, the central nervous system, this work is deeply relaxing and deeply affecting. In summary, I integrate the best choice of therapies for each client for each session or in a plan of sessions, often applying energy work to assist with deep healing and change. While a full body massage may be relaxing and reduce stress and inflammation overall, my more specific approaches to clients’ goals offer direct and oftentimes corrective and healing results more effectively and quickly when the client is ready. As always, the client is the healer in their lives. I do my best as their assistant in healing. While one treatment can be very beneficial, oftentimes multiple sessions are needed to reach clients’ health goals. I enjoy assisting clients reach goals and then helping them to maintain change, or set further goals for health and healing using my array of treatment skills. When clients are satisfied with their results, we either set a maintenance schedule or stop treatments until new needs arise. I appreciate my many referrals and returning clients. 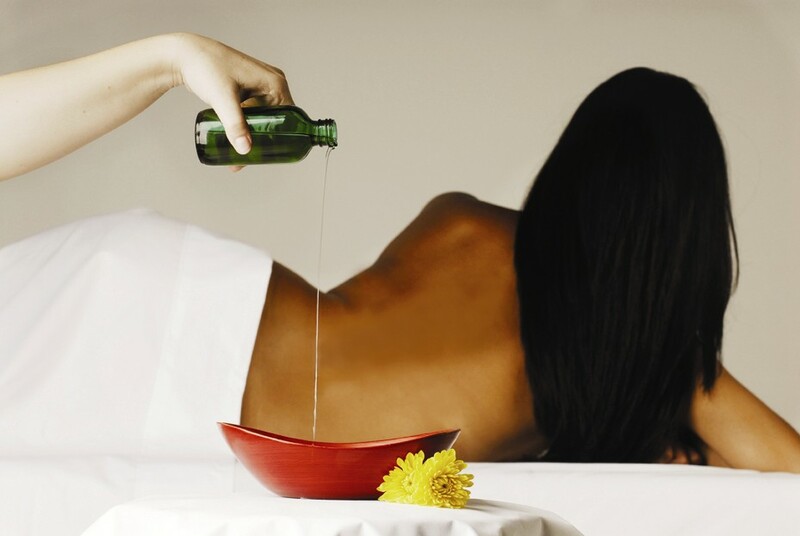 Premium Detox Treatment: A wonderful complement to a detox program is my 90-minute sea salt and essential oils exfoliation followed by a full-body lotion hydration and a lymph drainage therapy session. 20-20-20 Cranio: This combo is a spin off the regular 20-20-20. It includes a 20-minute therapeutic massage on the neck and back; a 20-minute cleansing lymph drainage therapy treatment; and a 20-minute craniosacral therapy session addressing your specific symptoms. 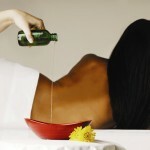 It is very detoxifying, relaxing, and addresses spinal pain. The Four Energies Treatment: I combine four energy practices in this session to attend to the physical and energetic bodies. They include Reiki, CranioSacral Therapy, and my own Heart Directed Therapy and The Gift. I utilize all four energy approaches in an integrated session for release of tension and symptoms, long-term wellness, letting go of imbalance and receiving heart-based healing. The Detoxifier: This detoxifying combination includes 30 minutes of Reiki clearing energy work to release energetic blocks that can prevent complete healing and create imbalances in mental, emotional and physical health. Thirty minutes of lymph drainage therapy follows this release to promote toxin and inflammation removal and increase immune system function. Leave feeling lighter, more clear and centered in your body and life. 90-Minute Power Relay: This powerful bodywork combination treatment attends to many layers of the mind, body and spirit. It begins with 30 minutes of relaxing Reiki energy work, followed by detoxifying lymph drainage therapy, and finishes with 30 minutes of energizing acupressure. It is a session received as with Thai massage, over comfortable thin clothes. Acupressure “Facial”: Not a skin facial, this 30-minute treatment uses acupressure points on the face, head and neck to promote release and relaxation of tension and pain in the neck, face, jaw, scalp and head. It often relieves headache and TMJ as well as a stiff neck. It may be added on another treatment or received by itself. An ancient Eastern form of massage therapy that assists the body in achieving balance and relief through direct pressure to points along energy or “meridian” lines. Benefits ~ Relief from headache, sinus pressure, eyestrain, TMJ, neck strain, shoulder pain, muscle tension and aches, menstrual cramps and low back pain; and the release of blocked energy to restore balance in the mind and body. Treatment of the CranioSacral system, encouraging better Cerebral Spinal Fluid (CSF) flow to bathe the brain, spinal cord, and nerve roots for optimum health of the central nervous system and therefore the entire mind-body. Restriction of cranial nerves or the dural membrane and/or inadequate CSF flow may result in a reduction of organ function and affect the senses and muscular, skeletal and nervous systems. The result can be pain and symptoms that aren’t effectively addressed through medicine or other types of body manipulation. CranioSacral Therapy works on the core of our being, gently adjusting the cranial and sacral bones (5 grams of pressure)–and therefore the dural membrane–and ultimately creating better CSF flow. It is gently acting, and deeply transforming and relaxing. By acting on the central nervous system, it creates a reduction in stress beyond what massage and other modalities can impart: it addresses the core and not just the superficial layers and responses. Benefits ~ Eradication of headache, migraine, sinus issues, vision and hearing issues, neck and back pain, whiplash, tailbone injury, balance issues, TMJ syndrome, digestive issues, adrenal fatigue, chronic fatigue, fibromyalgia, and many other problems related to the central nervous system. Also assists with autism, ADD, arthritis, detoxification of metal toxins, cerebral palsy, post-surgical pain and detoxification, traumatic injury, and concussion (post-acute). The lymphatic system is stimulated by muscle movement, and therefore, LDT is a manual method that acts upon lymph vessels and nodes to encourage lymphatic flow. This gentle, rhythmic technique works deeply with the lymphatic system to rid the body of toxins, infection and excess fluid. It aids the body during detoxification and can treat edema (swelling of extremities), reduce cellulite and stimulate organs to function more effectively. In addition, LDT can assist in rerouting fluid from an impaired site following injury, surgery or lymph node removal. I now offer Complete Decogestive Therapy, including Manual Lymph Drainage and Bandaging, to treat lymphedema or chronic asymmetrical swelling. Following treatment, I fit clients for reasonably priced, high-quality compression garments and can order them with a doctor’s prescription. For more information about Lymphedema treatment, click here. Benefits ~ Treatment of lymphedema and post-surgical swelling; relief from headache, sinus pressure and muscular aches and tension; decreased swelling; increased toxin, cellulite and extra fluid removal; improved digestion and elimination; and an improved immune response. Following injuries or medical procedures, the body can form deep and superficial scar tissue, which may limit mobility and function and also cause pain. Specific tissue release and fascia manipulation can reduce scar tissue adhesion and the appearance of scars. Scar work may be combined with Lymph Drainage Therapy to assist the body in healing affected areas and reaching full function again. Benefits ~ Reduction in pain, scar adhesion and rigidity; prevention of further adverse effects of scarring; increase in tissue flexibility; improved appearance of external scars; release of tight muscle; balance of the body tissues. Traditional Reiki, translated universal life force energy, uses intuition and energy to balance the energy systems of the body, clears energetic blocks and directs energy to those areas in the body that need healing. This ancient healing technique is noninvasive and aids the body in healing itself. Reiki is a powerful, spiritual healing tool that assists me and my clients in most of my bodywork sessions. I also offer Reiki-only sessions. Reiki is now used widely in and outside hospital settings to help patients prepare for medical procedures and recover more quickly with less pain, stress and side effects. Due to its noninvasive quality, Reiki blends well with other forms of treatment and does not conflict with medications or medical procedures. Benefits ~ Pain relief; accelerated healing physically, mentally and emotionally; relaxation; relief of stress; opens and balances the energy centers; prevents illness; maintains wellness; provides a feeling of wholeness and connection. I incorporate this hands-on energy work therapy with my other therapies. This treatment requires 100 total minutes and may be split up between sessions. It is noninvasive and assists clients to release any barriers to their long-term physical quality of life. Another of my own hands-on energy work therapies, Heart Directed Therapy utilizes the powerful heart energy to assist clients in faster recovery times, promote healthy organ performance, and heal injury and imbalances in the physical body. It is especially assistive for clients who are ready to release conditions that are no longer serving them. 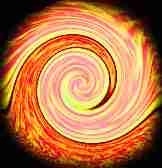 The energy feels stronger than Reiki for those who can sense energy work. Releases are deep and powerful. A finishing touch, Heart Balancing conduits the client’s own heart energy to provide balance between the right and left sides of the body as well as treat specific areas of pain, injury or disease. Salt Glow ~ I use fine sea salt with 74 trace minerals and rich aromatic oils customized to your needs to exfoliate and nourish the skin prior to a massage. Hot, moist towels on the hands and feet serve to finish. This treatment is included with a Premium Detox or it may be added to the front or at the end of another treatment with a quick hot shower rinse. Hand & Foot Therapy ~ A light exfoliation with aromatic sea salt butter to the hands and feet is followed by compression with hot, moist towels and an application of revitalizing lavender, lemongrass and peppermint lotion with Vitamin E and aloe vera. Learn how to provide yourself and loved ones the powerful healing energy of Reiki. Click here for information.